It is well recognized that patients undergoing peripheral vascular surgery are at risk for postoperative cardiac complications of anesthesia and surgery (1,2). 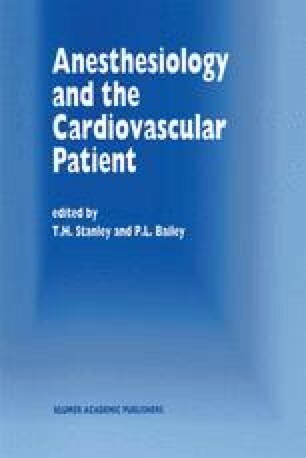 This relates directly to the prevalence of coronary artery disease and/or hypertensive heart disease in such patients. However, as coronary artery disease may be asymptomatic, the preoperative assessment may fail to elicit symptoms or signs of coronary disease. Thus, postoperative complications may occur in patients in whom the absence of symptoms or signs of heart disease may have been falsely reassuring.